PLUSCO Zinc Based Tool Joint and Drill Collar Compounds are available in four grades, each meeting all API and 1ADC material specifications. PLUSCO Zinc Base Compounds are made using the highest quality metallic zinc powder, a premium petroleum base, and a PLUSCO exclusive additive package designed to provide unsurpassed protection to thread and shoulder surfaces. 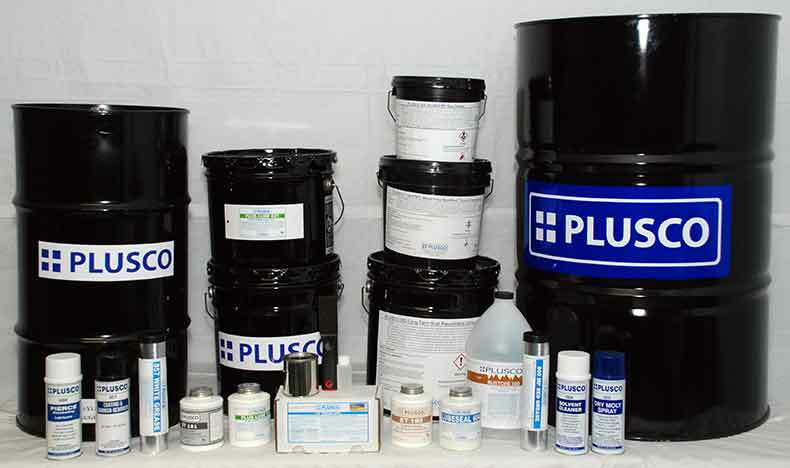 PLUSCO 120 (Z-40) - 40% zinc, PLUSCO 121 (Z-50) - 50% zinc. PLUSCO 122 (Z-60) - 60% zinc, PLUSCO 123 (Z-50 HT) - 50%. PLUSCO Z-40, Z-50, Z-60, and Z-50 HT (120, 121, 122 and 123) are recommended for use on tool joints, drill collars, and all other rotary shouldered connections. They may be used in deep or shallow drilling, on hard formations, for directional drilling, or for breaking in new tool joints. API and 1ADC recommends a compound, of from 40% - 60% metallic zinc, for use on tool joints and on drill collar connections. Z-40 is commonly used for shallow drilling and on tool joints. It is also used on drill pipe as a storage compound. Z-50 is the most widely accepted and used compound on the complete drill string. When a single compound is used on drill pipe and drill collars, it is most often Z-50. It may also be used on rotary connections, as a storage compound. Z-60 is normally used for hard and deep formation drilling and on drill collars. PLUSCO Z-50 HT Geothermal Grade is recommended for drilling in geothermal and other high temperature formations. Z-50 HT Geothermal Grade is designed to resist the drying effects associated with high temperature drilling. PLUSCO 123 Geothermal Grade is designed to protect tool joints, drill collars and other rotary shoulder connections, used in high temperature drilling conditions thus, assuring ease of breakout on the connection.